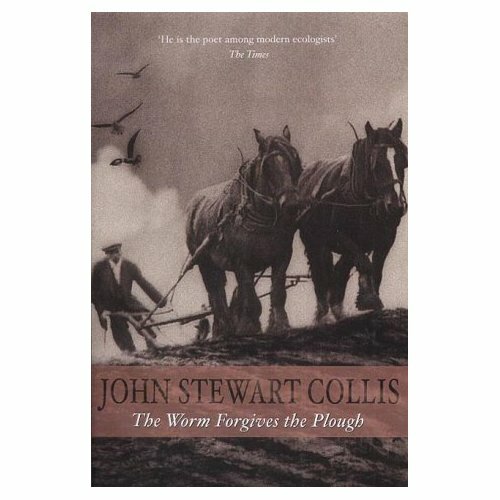 This month we read The Worm Forgives the Plough by John Stewart Collis. The book is comprised of two novels: While Following the Plough and Down to Earth, published as whole in 1973. It is an autobiographical account of Collis’s time working on the land during the Second World War. The need for farm labourers during the war was increased due to an entire generation of men at war, and as Collis was too old to join active service he opted instead to work on the land as part of the land army. Collis writes about his experiences, the people he met and the long days he spent working on the land. An endearing element of the book and a level which I found enjoyable are his descriptions of the people he came across, people very different from the world he was used to. These are the working men and women of the countryside, not to mention the Land Girls. Collis provided the most vivid descriptions of the people he met and worked with. “He was a man in the fifties. His eyes were impressive in their mildness, but his mouth was large and ugly, partly concealed by a stumpy moustache.” For the group this really brought the book to life. Collis’s anecdotes and descriptions of working on farms are fascinating; they provide a hands-on guide to farming by a beginner, his work and writings stretch from potato picking to the life and work of ants. This is a good read for someone who wants a personal experience of farming during the Second World War; the book isn’t driven by a story but purely by the work. As a group we had mixed reviews about the book, some members could not warm to Collis whilst others found him utterly amusing. Not everyone completed the book and some found it difficult to engage with, whilst one member read the book at University. Next month we’re reading Waterland by Graham Swift. See details on our website. Do feel free to pop along and chat about a book we’ve been planning to read since the book group began!